Dean/Director/Hiring Manager issues an offer letter to the candidate that includes information about visa assistance and legal fees. For assistance with the appropriate visa information to include in the offer letter, please contact Lori Sykes at 475-7393 or ljspsn@rit.edu. RIT will bear the expense of legal fees and filing fees associated with: H-1B, H1-B renewals, O-1 and Labor Certifications for the employee only. These expenses will be charged to central university funds and not to the individual colleges / divisions. 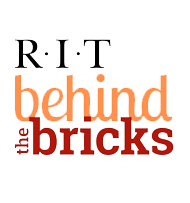 RIT’s attorneys will also seek to obtain the appropriate legal status for an employee’s spouse and minor unmarried children, but the legal fees and filing fees associated with doing so will be the responsibility of the employee. RIT will be billed for these fees by its attorneys and RIT will in turn forward those invoices to the employee for payment. The legal fees and filing fees associated with the I-140 & I-485 (steps 2 & 3) of the EB-2 Permanent Residency process will be borne by the employee. RIT will pursue Permanent Residency through the EB-1 process only when deemed appropriate in consultation with RIT’s attorneys. If approved, RIT will bear the expense of legal fees and filing fees associated with the I-140. The legal fees and filing fees associated with the I-485 will be borne by the employee. RIT’s attorneys will also seek to obtain the appropriate legal status for an employee’s spouse and minor unmarried children, but the legal fees and filing fees associated with doing so will be the responsibility of the employee. RIT will be billed for these fees by its attorneys and RIT will in turn forward those invoices to the employee for payment. Any exceptions to the Standard Process must be approved in advance by the Provost. If an exception is made, the associated expenses will not be charged to central university funds; they will be charged to the individual colleges / divisions. Dean/Director is responsible for understanding the approximate expenditure that will be charged to his/her budget in response to requesting an exception. Please contact Lori Sykes for an updated fee schedule if you are unsure of the additional expense. For questions or assistance with offer letters, please contact Lori Sykes at 475-7393, ljspsn@rit.edu.